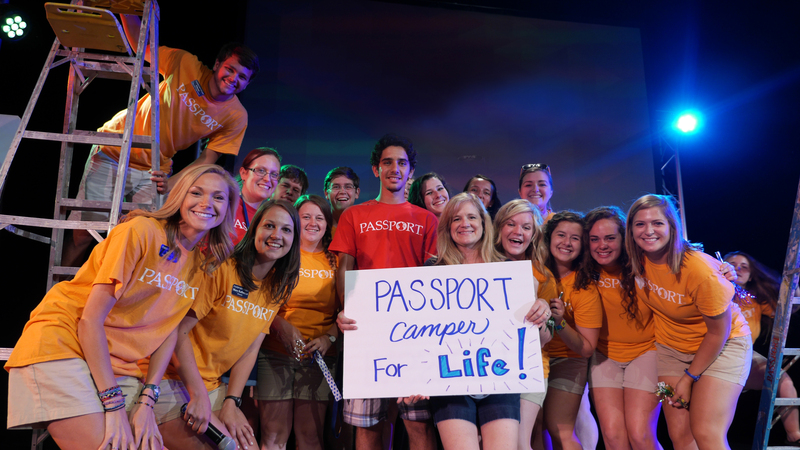 The following press release comes from CBF partner, Passport, Inc.
BIRMINGHAM, Ala. — Walking across the stage among confetti, glitter, and the cheers of his youth group, Alfarouk Majid represented the 99,999 campers before him who previously attended camps in the 23 years of Passport’s ministry. As the 100,000th camper, 16-year-old Iraqi-born Majid accepted the ‘PASSPORT Camper For Life’ certificate with excitement and bewilderment. Twelve months before Majid had even heard of PASSPORT, the Passport office began to anticipate the milestone marking the 100,000th camper in 2015. Although group registration would make it difficult to pinpoint the exact camper to cross this historic line, it was confidentially determined that the as-yet-unknown student would be celebrated the last week of the summer at PASSPORTmissions in Danville, Virginia. Once the fated pin dropped, the Passport office alerted team coordinator Dale Tadlock and camp director Mary Katherine Johnson, who then connected with First Baptist’s youth minister Jennifer Rygg. Later that evening, when Majid’s name was called during the Opening Celebration, his youth group erupted into cheers. Along with his father and brother, Majid came to the United States from Iraq via Syria. The family now runs Something Special Restaurant in Pendleton, S.C., where the youth from First Baptist invited them to camp. Previous post ← Yes. It Matters.